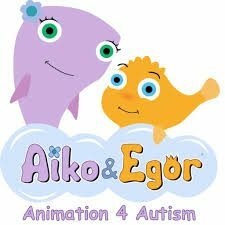 Get to know Aiko & Egor, two friendly animated fish who want to help kids with autism develop key skills. Parents, teachers, and others who work with kids with autism have a new resource designed to help autistic kids learn and practice key developmental skills. 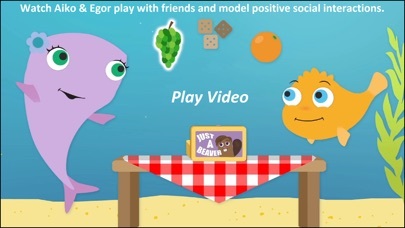 The app centers around a video series starring two fish – Aiko & Egor. In each episode, the characters interact with one another. 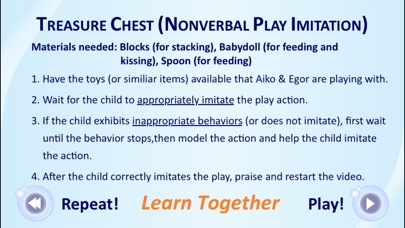 After watching the video, kids can then practice engaging in similar conversations and activities. While kids start on the app, they finish away from the app, building skills in real life. To interact with the app, parents must login using Facebook, e-mail, or Google. Once logged in, parents have access to the first episode of the app. The episodes are the main component of the app. In the settings section, parents can opt to download the videos locally or stream them. Each episode is nearly 10 minutes long, so parents who opt to stream the videos should have access to a strong internet connection. Once parents have the app set up, kids can begin watching the videos. Each episode can be viewed in its entirety or broken down into smaller components in the “Learn Together” section. Clear icons help parents and kids easily find what they’re looking for in the app, but many of the components are protected by parental blocks because the app is designed to be used by parents and children together. Each episode in the app features a common theme. For example, Episode 1 is “Shapes” and Episode 2 is “Animals”. Each episode is loosely based on the theme, but features other activities not related to the theme. When kids choose an episode, they’ll discover four main options: Full Episode, Learn Together, Materials Needed, and Skill Building (coming soon at time of publication). The Full Episode allows kids to watch the entire episode at once. The episode is also broken down into smaller chunks in the Learn Together section. There, parents can watch the episode with their children and complete the prompts that appear on the screen during the episode. In the Materials Needed section, parents will find the materials that connect with the Learn Together activities. These activities are designed to help kids develop key social and emotional skills, with a few basic skills, such as shape and color recognition thrown in. 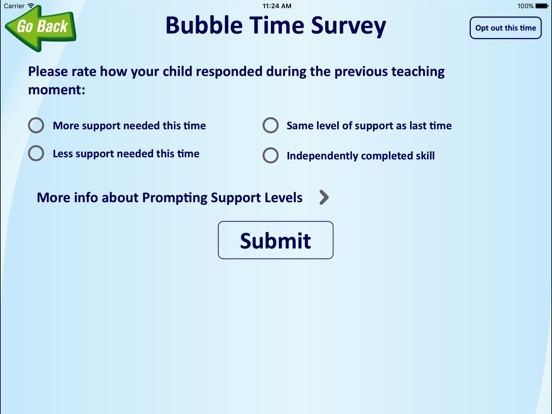 While interacting with the app, parents are frequently presented with survey questions. 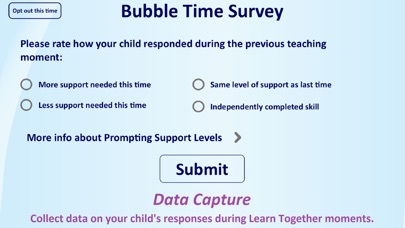 These questions are designed to help the app’s developers conduct research and to help parents track their children’s progress. However, it’s not clear how or if parents can currently access reports related to their child’s progress. 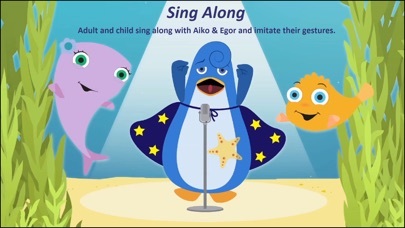 As kids watch the videos, they’ll learn more about Aiko and Egor. The characters engage in everyday conversations and activities, so kids will feel like they get a glimpse of their daily life. They also try to make the situations entertaining by throwing in fun games and animations. 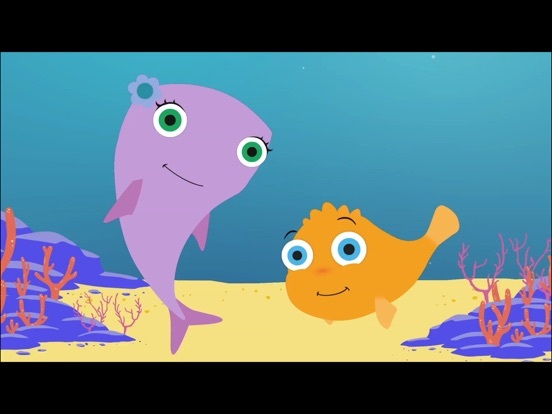 For example, kids get to search in a treasure chest with the fish. 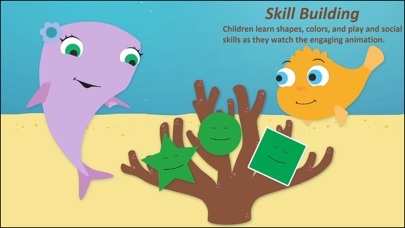 Through the learning activities, kids are able to further connect with the animated characters by engaging in similar activities on their own or with the support of an adult. The app is free to download. With a free download, users have access to the first episode. Additional episodes are available through an in-app purchase. The price of each episode is similar to the cost of purchasing an episode of a TV show on iTunes. Parents should try the first episode with their children before deciding whether to download more. The app is designed for parents and other adults to use alongside children. Many of its components, such as access to the learn together section, access to in-app purchases, and access to social media, are protected by a parental block. Parents must also login to the app using their Facebook, Google, or e-mail account.